The nine elements of the Bagua. Here we have a partnership. 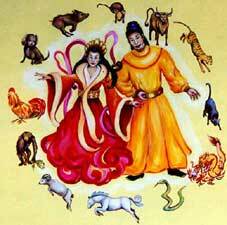 In this case, it’s the cover drawing for “Chinese Power Animals” which I illustrated. 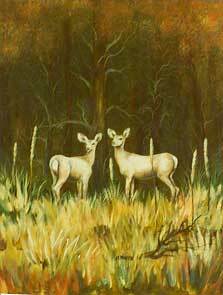 Here is a picture of 2 deer that would be great in the partnership sector of your home. 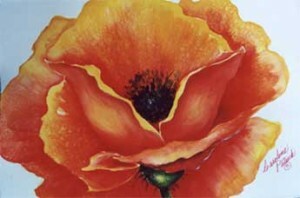 The luscious colors of red and orange strike a glorious combination in this poppy. 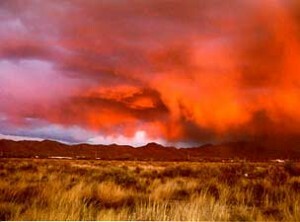 A storm over the plains shows us how dramatic nature can be; perfect to jazz up your Fame sector. 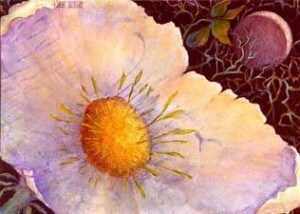 A painting such as this white flower is an excellent choice to bring harmony to the Creativity section of the house or business. 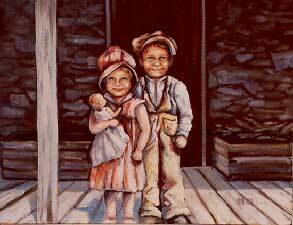 This painting of two children would be ideal in the Children or Creativity sector of the Bagua. The colors for the Career section are blue and black. Here are excellent renditions for the entryway of your home. 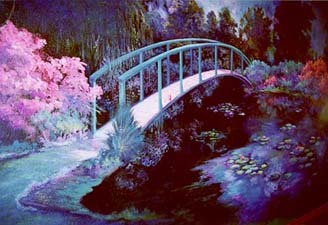 What do the bridges represent to you? Payments are also accepted over the phone via The Square ($10 processing fee). (c) 1999-2015. All Rights Reserved. Carolyn Patrick Bor-Nei.